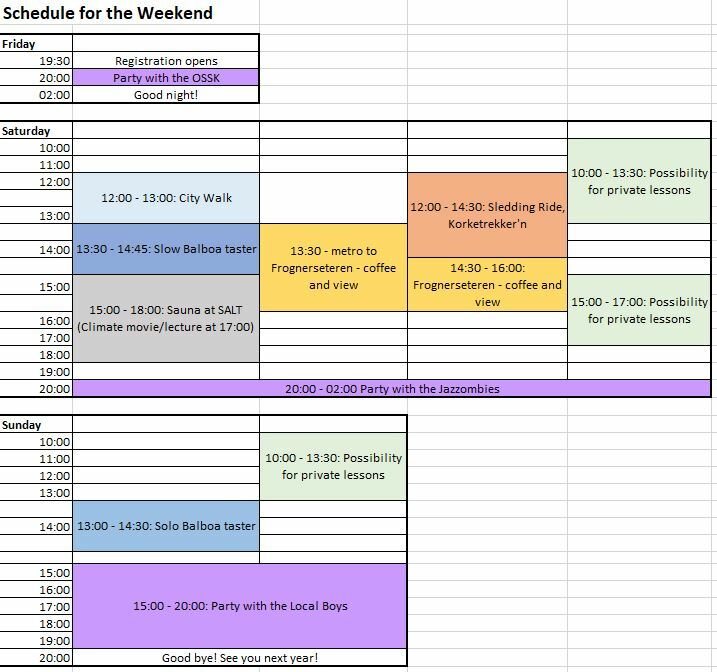 This is the schedule for the weekend! 12.00 – 13.00: City Walk – meet up at Sentralen, wear warm shoes and clothes! 12.00 – 16.00: Sledding ride in Korketrekker’n! Meet up at Sentralen 12.00 sharp- in warm winter clothes! Below is a graphic schedule, showing which activities takes place when.